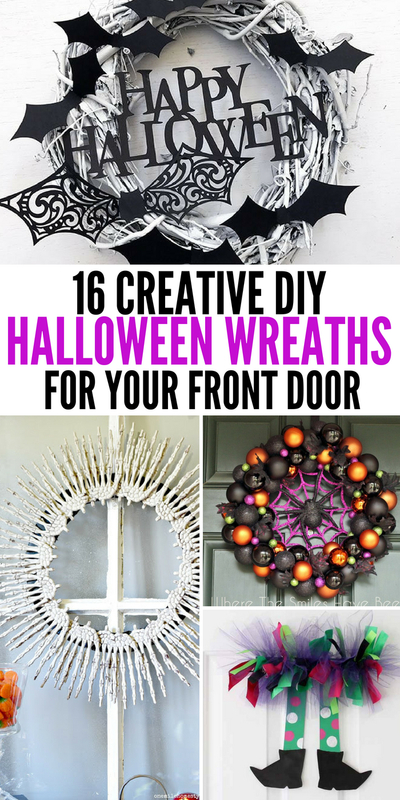 Check out these awesome DIY Halloween wreaths that will dress up your door. 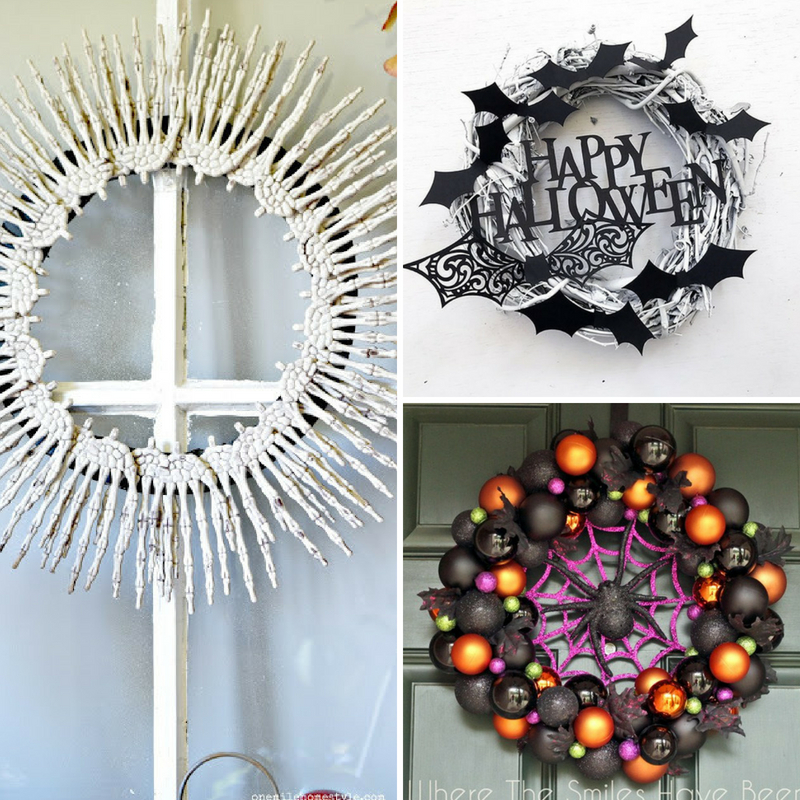 Get in the Halloween spirit with these fun wreaths that scream Halloween. I love fun wreaths that add a splash of color and get our home ready to stand out and look festive for the holiday. 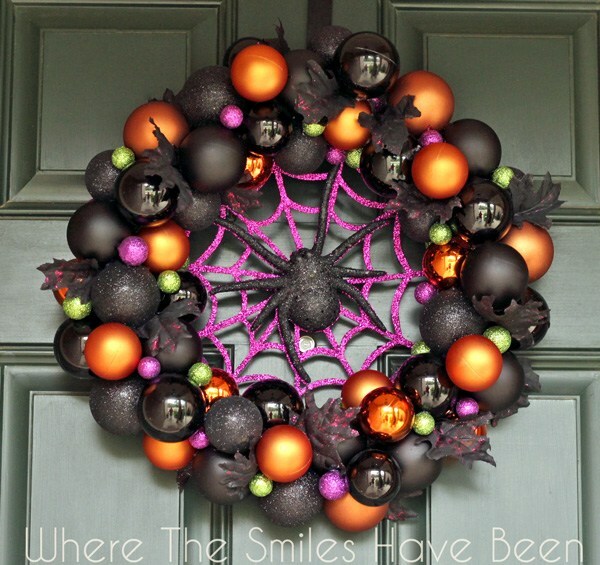 These Halloween-inspired wreaths will help get your home in the festive spirit. Don’t forget to decorate your front door. It is the first thing guests see when they arrive at your home. I think having a fun outdoor area that is decorated is more inviting. Make your front door wreath a statement piece for the holiday! Halloween is such a fun holiday filled with tasty candy, creative decorations, and more. Plus make sure to check out these DIY Halloween costumes, that are affordable and even better than a store-bought costume, if you ask me. Here is a really easy wreath you can make that is made with a wood wreath. Add some fall leaves, spooky spiders and you are set. If you are not a huge crafter this is a very easy option. If you love Mickey Mouse you will love this Mickey Mouse Halloween wreath. It brings the world of Disney right to your front door. Creepy crows and bones wreath is a spooky wreath that might give your guest a little scare. If you like the spooky aspect of Halloween this wreath is perfect for you. Check out this ceiling medallion Halloween wreath. Creative and so unique that everyone will wonder where you got your wreath. This skeleton hand wreath is what Halloween is made of for most. This wreath is fun for indoors or out on your front door. Head over and check out this spider wreath. It gives you the element of a spider web has attacked your wreath. A fun idea for that scary aspect of Halloween. This burlap wreath is perfect for fall. It is a great wreath to hang if you don’t want the scary part of Halloween to come, and you can use all through the fall season. Here is a really fun bat wreath that is different in style than a classic wreath. I think kids will love seeing it as they come to trick or treat. 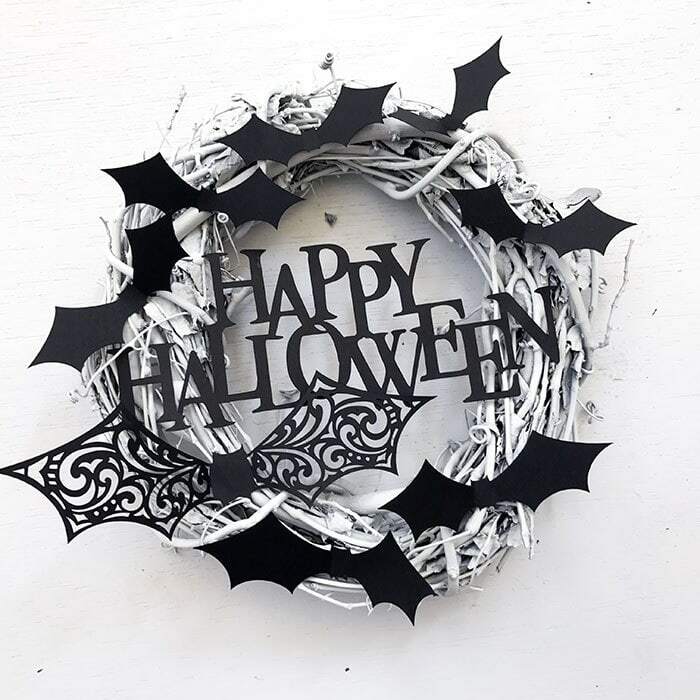 Check out this mini black and white wreath perfect for Halloween. It is a very classic and simple design that will add a huge design element to the front door. Here is a bold and sassy colored fabric Halloween wreath that will really add some color to your door. Easy to make and a perfect wreath to re-use each year. Check out this Halloween ribbon wreath. It is a great way to use up some ribbon you have on hand, to make a one-of-a-kind wreath for your home. Who wants a monster eye wreath for their front door? The eyes glow in the dark for that unique element that fits the Halloween season. I love this Halloween ornament wreath. It gives you those rich colors to add a pop of color to your space, and the idea of ornaments is fun. Here is a batty wreath that uses coffee filters for a fun and creative wreath. Not spooky at all, and fits with the Halloween theme. You can’t have Halloween without a witch or two? Here is a witch leg wreath that is bright and bold, and fun for this Halloween season. Colorful and fun is what you will find in this Halloween pumpkin wreath made with mesh. 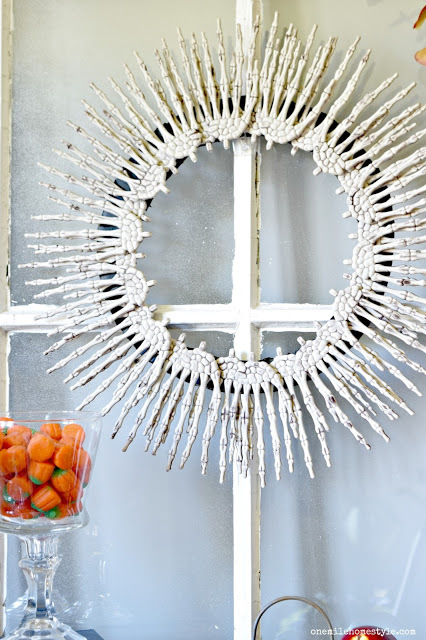 Kid-friendly and light-hearted, and a great non-spooky wreath. What is your favorite Halloween candy you enjoy during the season?